The market came to a realization yesterday, once again after several weeks of forgetfulness, that Greece is hopeless. Germany is becoming frustrated that more money has poured into Greece without much in the way of fundamental change. The finance minister for Germany basically told the Greeks that some outsider needs to be put in charge of Greece's budget, which is not going to happen. The market did recover some from its initial selloff. 1. Added to Janus Balanced Mutual Fund Last Friday: I added to my position in the Janus Balanced mutual fund. I had eliminated or substantially pared my mutual fund holdings in 2007, except for the Permanent Portfolio which I kept intact and continued to buy more. In 2008, that fund declined only 8.36%. By paring, I am referring to selling shares down to 100. The first mutual fund that I bought during the Near Depression period was the Janus Balanced T. Since I view the ability to manage money during downturns to be more important than riding the wave of a long term bull market, I was impressed with how this fund was doing in 2008. The total loss that year was 15.22%, so I invested some money and have added to it since that initial investment. Morningstar gives this fund a 5 star rating. The fund category is moderate allocation. The expense ratio is .83%. The bond allocation is over 40%. Based on the Fed's decision to continue its Jihad until the end of 2014, bonds look better to me now than they did a few days ago. I would hope that the fund pares its large allocation to U.S. treasuries before the worm turns and carnage and destruction is visited upon those who hold those securities. Janus includes all or at least most of its funds in one thick shareholder report. The last filed Form N-Q, which lists holdings, has the Balanced fund portfolio starting at page 13, nvcsr. Janus Balanced Fund T (JABAX) closed at $25.5 yesterday, down 2 cents. 2. Washington Trust (own: REGIONAL BANK BASKET STRATEGY): WASH reported 4th quarter net income of $7.8 million or 47 cents per share, up from 44 cents in the year ago quarter. SEC Filed Press Release The consensus estimate was 47 cents. As of 12/31/2011, NPAs to total assets stood at .81%; the allowance for loan losses to non-accrual loans was at 140.33%; the net interest margin was 3.22%; the tangible equity to assets ratio was at 7.21%; and the total risk based capital ratio was at 12.86%. Washington Trust Bancorp closed yesterday at $24.83. 3. First Financial Bancorp (own: REGIONAL BANK BASKET STRATEGY): FFBC reported 4th quarter net income of $17.9 million or 31 cents per share, up from 27 cents in the year ago quarter. SEC Filed Press Release Recently, this bank has been paying dividends equal to its diluted earnings per share. In this latest earnings release, the FFBC Board announced that the next quarterly dividend will consist of the regular 12 cents per share plus a variable dividend of 19 cents per share (equaling the 31 cent E.P.S. reported for the 4th quarter). As of 12/31/2011, the net interest margin was 4.32%; NPLs to total loans stood at 2.57%; the allowance for loan losses to non-accrual loans was 96.83%; tangible equity to tangible assets ratio was 9.58%; and the total capital ratio was estimated to be 18.75% (10 > well capitalized). 4. Sold 50 Baxter International (BAX) at $56.39 Last Thursday (see Disclaimer): I reviewed Baxter's 4th quarter report, released before the market opened last Thursday, and did not comprehend why investors were taking the stock up over $2 per share. I consequently entered a market order to sell the 50 shares recently bought at $49.79. Bought 50 BAX at $49.79 (1/12/2012 Post). The shares did close at $55.65 last Thursday, up $1.28. The 4th quarter earnings report was okay. SEC Filed Press Release It illustrates a problem common to many large cap companies selling at relatively low multiples. The company reported an adjusted E.P.S. of $1.17, in line with expectations, on a 3% increase in revenues. The guidance for 2012 of $4.47 to $4.57 was lower than the consensus forecast of $4.62. Management estimated 2% sales growth in 2012. For the 1st quarter, Baxter estimated an E.P.S. of $.98 to $1 and the consensus was at $1.04. Baxter International closed at $55.3 yesterday. As of 12/31/2011, the efficiency ratio was 59.61%; the net interest margin was 3.48%; NPLs to total loans stood at .55%; the allowance for loan losses to NPLs was 133.7%; the Texas Ratio was 8.55%; the tangible equity to assets ratio was 8.57%; and the total risk based capital ratio was 16.47%. 6. United Bankshares (own: REGIONAL BANK BASKET STRATEGY): UBSI reported 4th quarter net income of $20.3 million or 40 cents per share, which included a before-tax non-temporary impairment charge related to some securities of $6.3 million. Press Release As of 12/31/2011, the net interest margin was 3.88%; the efficiency ratio was 51.81% (down from 53.87% on 12/21/10); NPAs to total assets stood at 1.58%; and the coverage ratio was 92.7%. 7. Bought 40 SuperValu (SVU) at $6.98 Last Thursday (Lottery Ticket Basket Strategy)(see Disclaimer): Until this LT purchase of the common, I have limited myself to SVU's senior bonds. I have sold 3 bonds for a profit, and currently own two as part of my Junk Bond Ladder Strategy. I have discussed this company in prior posts due solely to my ownership of its bonds. The stock declined 12.5% on 1/11/11, closing at $7.34, after SVU released a disappointing earnings report for its third fiscal quarter ending 12/4/11. The company reported adjusted net income of 24 cents, one cent shy of estimates, on a 4% decline in revenues. SEC Filed Press Release The GAAP per share was a loss of $3.54. The company recorded goodwill and intangible asset impairment charges of $907 million pre-tax ($800 million after tax or $3.78 per share). In retrospect, it would be fair to characterize SVU's acquisition of Albertsons in 2006 to be ill-advised. Some of the debt that I have bought originates from Albertsons. SVU's debt is its primary problem in my opinion. 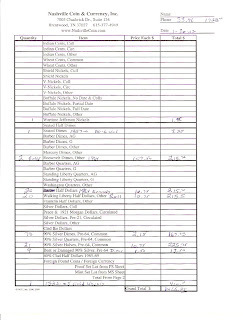 The recently filed SEC Form 10-Q shows the long term debt and capital lease obligations to be $6.203 billion as of 12/3/2011. (see note 5 at page 11). The maturity dates of those obligations are listed in a table. SVU is paying a too generous quarterly common stock dividend of $.0875 per share. Dividend History: SUPERVALU Assuming a continuation of that rate, the dividend yield would be approximately 5% at a total cost of $6.98 per share. SUPERVALU key developments page at Reuters. Supervalu closed at $6.96 yesterday. The 52 week high is $11.77. The government's first estimate of 4th quarter GDP growth was 2.8% annual rate. News Release: Gross Domestic Product The expectation was for 3%. Growth was aided by a $56 billion increase in inventories, adding 1.94% to GDP, and by an increase in consumer spending. The Federal Reserve's current estimate for 2012 GDP growth is between 2.2% to 2.7%. www.federalreserve.gov.pdf That estimate, released last week, was revised down from the November estimate of between 2.5% to 2.9%. Nuveen Multi-Strategy Income & Growth Fund 2 closed at $8.79 last Friday, up 11 cents for the day. Based on last Friday's closing numbers, the fund was then selling at a 9.38% discount to its net asset value. ( see CEFA page on JQC). Link to sponsor's web page: Nuveen. 2. SOLD 230 ERH at $11.9 Last Wednesday (see Disclaimer): This is another CEF that is currently selling at a premium to its net asset value. 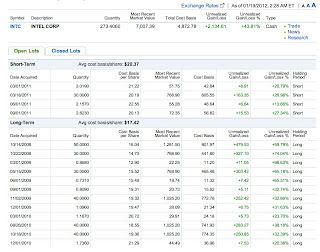 On the day prior to my sell, ERH closed at $11.78 and had a net asset value per share of $11.46. The premium was therefore +2.79%. I made a small profit on the shares plus several monthly dividends. Bought 100 ERH at 11.88 April 2011 Post; Bought 100 ERH at 11.69 July 2011 Post; Added 30 to CEF ERH at $10.61. The last small add generated the profit on the shares. Wells Fargo Advantage Utilities & High Income Fund closed at $11.66 last Friday. Based on last Friday's data, the fund was selling a .87% premium to its net asset value. Both of these securities are Synthetic Floaters in the Trust Certificate form of ownership. I have made a decent return on PYT by trading it, and really do not want to muck that record up. But, I overcame that psychological issue, barely, and added just 50 shares. Bought 50 PYT at 11.2 April 2009; Bought 50 PYT in Roth at 13.34 August 2009; Bought 70 PYT at $15.75 November 2009; Pared Trade: Sold 70 PYT at 18.66 & Bought 70 GYB @ 18.49 in Regular IRA March 2010 (PYT bought at $15.75); Pared Trades in Roth: Sold 100 PYT at 19.25 & Bought 100 GYB at 18.98 October 2010 (PYT bought at $11.2 and $13.34). I no longer own GYB which has a similar trading history. Assuming GS survives to the par value of the underlying security, and assuming I still own PYT at that time, which has a zero probability, I would receive PYT's $25 par value, thereby enhancing my yield to maturity. Merrill Lynch Depositor Inc. PreferredPLUS Floating Rate Callable TRUCs Series GSC-2 for Goldman Sachs Capital I closed at $16.1 last Friday. An investor who keeps money in a savings account, treasury bills, or bank certificates of deposits, traditional safe havens for income investors, will lose money after inflation and taxes, most likely for a six year period starting in 2008 and lasting until 2015. Certainly, whatever income is being generated by those safe haven investments is insufficient to make a meaningful contribution toward paying just the increase in everyday expenses. I have discussed my continuing adjustments to the Fed's Jihad against the Saving Class in numerous posts. (e.g. Coping with the Federal Reserve's Jihad Against Savers & Responsible Americans). The purchase mentioned below (Item # 5) is one coping mechanism, a dividend ETF. 1. FirstMerit (FMER)(own: REGIONAL BANK BASKET STRATEGY): FMER reported 4th quarter net income of $30.5 million or 28 cents per share, up from 25 cents in the year ago quarter. SEC Filed Press Release The consensus estimate was for 26 cents. As of 12/31/2011, the efficiency ratio was 69.46% (needs to come down); the net interest margin was 3.85%; NPAs as a percentage of loans + ORE (other real estate) stood at 1.06%; the allowance for non-covered loan losses to NPLs was 166.64%; and tangible equity to tangible assets was 7.86%. 2. Sold 30 of the LT TEX at $19.11 Last Tuesday (Lottery Ticket Basket Strategy)(see Disclaimer): This LT was purchased less than a month ago at $12.68-LT, creating close to a 50% quickie gain. This is the second quick profit on a small lot of TEX shares. Bought 30 TEX at $13.59 9/20/11 Post-Sold 30 TEX at $18 10/31/11 Post (See snapshot). Needless to say, our new Head Trader, the OG, likes playing with these LTs. I may go back to the well again on TEX, but it might take a recession to take the stock back to $13. Last Tuesday, Terex shares closed at $19.3. Terex closed at $20.33 yesterday. While some readers might scoff at that $176.98, I would ask you to perform a calculation on how much money would an investor have to put in a money market mutual fund to generate that much money in one year? 3. New York Community Bancorp (NYB:own REGIONAL BANK BASKET STRATEGY): NYB reported 4th quarter net income of $117.7 million or 27 cents per share. SEC Filed Press Release The consensus estimate was for 27 cents. New York Community Bancorp closed yesterday at $12.72. At that price, Marketwatch calculates the dividend yield at 7.86%. 4. SOLD 100 of the Bond CEF AWF at $14.65 Last Wednesday (see Disclaimer): I made a few bucks on the shares bought at $14.42. (February 2011). As previously noted, I am content to sell bond CEFs for any profit on the shares. I sold this CEF because the fund is now selling a premium to its net asset value. CEFA Page on AWF When I bought the shares, the fund was selling at a 6.6% discount to its net asset value. AllianceBernstein Global High Income Fund closed at $14.97 yesterday. The fund paid out $.905 per share in dividends in 2011. Dividends are paid quarterly and will fluctuate based on the dividends received by the fund's holdings. At a 90 cent annual rate, the dividend yield would be approximately 5.23% at a total cost of $17.18. The fund does not use leverage. The expense ratio is high for an ETF at .65%. I noted in the blog a previous sell of 100 shares, back in February 2010 at $16.93, so I did not miss much by selling those shares almost two years ago. After reading that post, I see that I bought 50 shares of GFW at $22.63 as a substitute for HGI, and that worked out just fine. I have modest goals for this kind of investment. I will be satisfied with a 10% total return, which can be achieved in a year's time with slightly less than a 5% gain in the shares. Guggenheim International Multi-Asset Income ETF closed at $17.28 yesterday. British GDP declined .2% in the 4th quarter, which brought the 2011 GDP down to a positive .8%. Anemic is the only word to describe those numbers, and many economists expect a double dip recession for the U.K. A number of peripheral European countries, including Italy, Greece, and Spain, are already in a recession. The Fed's Jihad against the Saving Class continues in earnest. I am just trying to cope with this unprecedented punishment of the Saving Class. Hercules Technology Growth Capital is a business development company that provides equity and debt capital to mostly private technology companies. Like REITS, the BDC will avoid taxation at the corporate level on income distributed as dividends to its shareholders, provided at least 90% of the taxable income is paid out in dividends. This allows the BDC's to pay high dividends, but this comes with a price. Since most of the income is being paid out to shareholders, and their investments are risky, the BDC will frequently have to sell stock to replenish its coffers. Unfortunately for existing shareholders, many of those sales have been at below net asset value. Last Friday, I noticed that HTGC had declined significantly, and it was for a typical reason. It was selling stock. It sold 5 million shares at $9.61, with an over-allotment option of an additional 750,000 shares. SEC Form The close prior to this announcement was at $10.25. This is a link to the HTGC web site discussing their Portfolio. As HTGC mentioned in a recent SEC Filing, it will often receive warrants for stock when providing debt capital to these companies. It has 104 warrant positions in technology related companies, and nine of those firms had filed a registration statement in anticipation of completing an IPO. SEC Filed Press Release Of course, the mere filing of a S-1 registration statement does not guarantee that the company will actually be able to go public. In that press release, HTGC did mention that Coviden recently acquired a portfolio company called BARRX Medical. An acquisition would be another way for HTGC to make money. This is a link to HTGC's press release announcing third quarter results SEC Filed Press Release Distributable net operating income for the third quarter was 22 cents. The Board declared a third quarter dividend of 22 cents per share. If that dividend rate was annualized, the yield at a total cost of $9.7 would be approximately 9%. 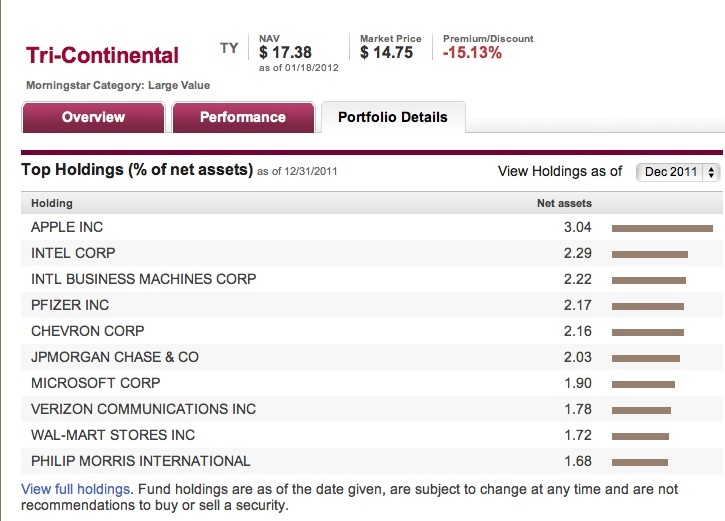 On 9/30/2011, the net asset value per share was at $9.61. Sold HTGC at $8.67 (July 2009). I also flipped 50 shares in a regular IRA for a $40 profit. Hercules Technology Growth Capital closed at $9.63 in trading yesterday. Prospect Capital Corp. closed at $10.64 yesterday. I am reinvesting the dividend paid by the 200 shares owned in a taxable account. 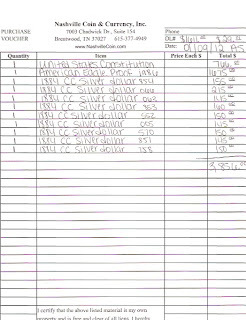 I have discussed this BDC in several prior posts, including the following: Item # 2 Bought 50 PSEC at 10.48 (September 2009 Post); Item # 2 Sold 50 of the 200 PSEC at $12.16 (March 2010); Item # 5 Bought 50 PSEC at 9.5 (July 2010 Post); Bought 50 PSEC @ 9.97 in IRA (November 2010 Post); Sold: 50 PSEC @ 11.5-Regular IRA (January 2011 Post); ; Item # 1 Prospect Capital (PSEC) (June 2011 Post); Added 100 PSEC at 10.1- ROTH IRA (July 2011 Post). 3. Added 2 United Refining 10.5% Senior Secured Notes Maturing 2/28/2018 at 94.5 (Junk Bond Ladder Strategy)(see Disclaimer): I previously discussed this note after buying just 1 bond at a higher price. Bought 1 United Refining 10.5% Senior Secured Bond Maturing 2/18/2018 at 97.25 I have nothing to add to that post. Although United Refining is a private company, it does file reports with the SEC. 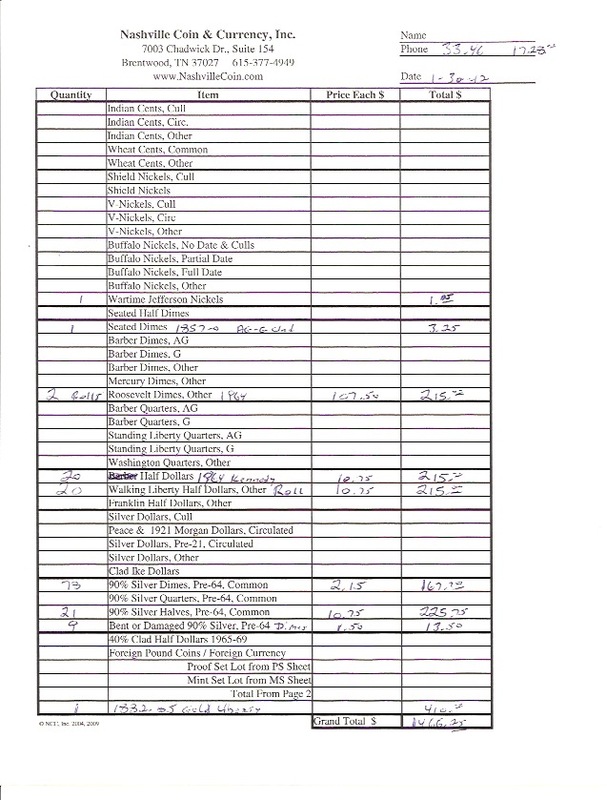 SEC Filings This is a link to the last filed SEC Form 10-Q for the Q/E 11/30/11. This is a link to the Press Release announcing those results. The company reported quarterly revenues of $944.031 million and EBITDA of $121.809 million. Net income was reported at 62 million compared to a loss of $8.1 million in the year ago quarter. My confirmation states the current yield at my cost is 11.064% and the YTM is 11.687%. For all practical purposes, I am being forced into the Junk Bond Ladder Strategy due to the FED's Jihad against the Savings Class, now likely to extend into 2014. 4. Bridge Bancorp (BDGE)(own: REGIONAL BANK BASKET STRATEGY): Bridge reported 4th quarter net income of $3 million or $.42 per share, up 23% compared to the year ago quarter. The one analyst that provides an estimate had predicted an E.P.S. of 39 cents. As of 12/31/2011, the efficiency ratio was 57.96%; the net interest margin was 3.97%; NPLs to total loans stood at just .68%; the allowance for loan losses as a percentage of NPLS was 260.44%; the total capital ratio was 16.2%; and the tier 1 capital to risk weighted assets ratio was 15%. Bridge Bancorp closed at $20 yesterday. According to Marketwatch, the dividend yield at that price is 4.6%. I own 150+ shares. I own 1 senior secured bond maturing in 2015 issued by the Edgen Murray Corporation Bought 1 Edgen Murray 12.25% Senior Secured Bond Maturing 2015 (March 2011). This firm has a convoluted ownership structure as shown at page 5 of that bond prospectus. If the IPO is successful then there will be a reorganization of that structure into something more convoluted, as shown at page 8 of the registration statement. Form S-1 The company states that it plans to use the proceeds of an IPO to purchase additional limited partnership interests in Edgen Murray II LP and to redeem a portion of the senior secured notes. Apparently, the purchase of additional units in EM II will be used to repay certain amounts under a term loan and revolving credit facility for a company called Bourland & Leverich Holdings which will become a wholly owned subsidiary of EM II after the reorganization. Since EM II and any subsidiary that is at least 80% owned by it guarantee the senior secured note issued by Edgen Murray Corporation, I would view the pay down of debt to be a positive. In sum, I would hope for a successful stock offering since debt will be reduced by equity. The company filed an IPO registration in 2008 and subsequently withdrew it. There are a few statistics that remain interesting to me. The price to sales ratio is at .67 and the price to book ratio is at .86. The company also has $1.68 a share in cash with no long term debt. DRAD Key Statistics At the $1.89 price, the market cap of the company is covered almost entirely by its cash. 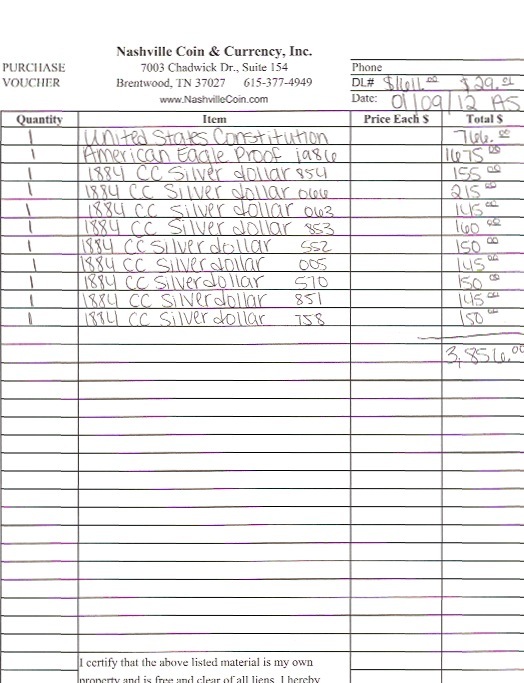 For the Q/E 9/2011, the company did manage a $99,000 profit or 1 cent per share on $13.439 million in revenues. While it is just my opinion, this company is just too small to remain independent and really needs to be absorbed by a larger company. Digirad closed yesterday at $1.92. 2. Bought 40 FOE at $6.32-LT Last Friday (Lottery Ticket Basket Strategy)(see Disclaimer): This is another statistical selection. According to FOE Key Statistics, price to book is .86; price to sales is .24; the forward P/E is 8.9; and the five year estimate P.E.G. is .71. Another characteristic of a LT selection is a smashed stock price. Ferro was trading at over $23 in 2008. The stock then went into a tailspin, hitting $1 by March 2009, and then spurted up to over $16 by March 2011 before entering into another descent. FOE Interactive Chart On a more positive note, the stock did recently cross its 50 day SMA to the upside. When Ferro issued its last quarterly report, it did guide down its 2011 earnings and revenue estimates. SEC Filed Press The main culprits behind the shortfall were customers working down their inventories and a downturn in Ferro's solar paste business. I read the latest Credit Suisse report on Ferro. That report is available to Charles Schwab customers. CS has FOE rated at outperform with a $10 price target. Ferro closed yesterday at $6.29, down 13 cents for the day. 3. Community Bank System (own: REGIONAL BANK BASKET STRATEGY): CBU reported net income for the 4th quarter of 19 million or 51 cents per share, up from 47 cents per diluted share in the year ago quarter. SEC Filed Press Release The consensus estimate was for 53 cents a share. As of 12/31/2011, the efficiency ratio was at 57.2%; the net interest margin was 4.06%; NPAs to total assets stood at just .36% (NPLs at 1.36%); and the allowance for loan losses as a percentage of NPLs was 204%. Community Bank System closed at $28.15 yesterday. The dividend yield at that price according to Marketwatch is 3.69%. 4. F.N.B. (own: REGIONAL BANK BASKET STRATEGY): F.N.B. reported net income of $23.7 million, or 19 cents per share, for the 2011 4th quarter. This was unchanged from the year ago quarter. The consensus estimate was for 19 cents. As of 12/31/2011, the efficiency ratio was 59.27%; the net interest margin was 3.79%; NPLs to total loans stood at 1.55%; allowance for loan losses to NPLs stood at 94.76%; and the tangible equity to tangible assets ratio was 6.65%. I apparently own more TRST shares than I have been including in my regional bank table. I noticed the other day some shares in an infrequently visited satellite taxable account, bought no doubt by gremlins. I own 420 shares bought in the market plus reinvested dividends. This is a link to a recent article in SmartMoney that summarizes some of the advantages and disadvantages of closed end funds. I do not recall Felix Zulauf being optimistic about stocks. I do pay attention to his opinions since he is both articulate and intelligent. I never have his certainty, born no doubt out of a considerable amount of arrogance, but will assign probabilities to his dire predictions. A. China's GDP will slow to a 7.2% this year, while the U.S. economy will grow in the 1 to 1.5% range. B. The deflationary pressures are intensifying. The market "could" drop 20% from the first quarter high. The global stock markets will top out in the first quarter. Thereafter, the cyclical bear market, started last spring, will reassert itself and continue into the later half of 2012 or into early 2013. E. He does not believe there will be a positive outcome to Europe's sovereign debt and bank problems. 1. Continued to Pare GDO By Selling 100 at $18.72 Last Thursday-Taxable Account (see Disclaimer): This transaction brings me down to 236.082 shares of the bond CEF GDO, held in a taxable account, with another 120 held in the ROTH IRA after a recent pare. Sold 100 GDO at $18.46 The rational for selling these shares is discussed in that post. The shares sold last Thursday at $18.72 were bought in March 2010 at $18.46. So, I broke even on the shares and received almost two years of dividends. At a total cost of $18.72, the dividend yield is close to 8.17% at the current monthly distribution rate of $.1275. The OG is content accepting that yield without losing money on the shares. GDO went ex dividend for its monthly distribution on Wednesday, the day before the last sale so I will receive one more monthly dividend on the 100 shares sold last Thursday. On the day of my sale, the net asset value per share was $18.78. Yesterday, Western Asset Global Corp Defined Opportunity Fund closed at $18.69 with a net asset value of $18.84. 2. First Bancorp (FNLC)(own: REGIONAL BANK BASKET STRATEGY): This bank is a minor position in the regional bank basket. First Bancorp reported 4th quarter net income of $3 million, or 29 cents per share, up one cent from the year ago quarter. I am not pleased with the increase in non-performing loans to 3.21% of total loans, compared to 2.39% at the end of 2010. The efficiency ratio is in the top 15% of its peer group at 49.74%. The average for the peer group is 65.45%. As of 12/31/2011, the estimated leverage capital ratio was 8.15% (Well capitalized 5%>); tangible book value per share was $11.3; NPAs to total assets stood at 2.32%; the net interest margin was 3.28%; and the return on average tangible common equity was 11.05%. First Bancorp closed yesterday at $15.79 and has about a 4.94% yield at that price. I am hesitant to buy much in this fund due to its lackluster 10 year record. Those returns are provided by the sponsor at the foregoing linked page. It has admittedly been a tough ten years for stock investors. A 1.11% average annual return over that ten year period is okay under those circumstances. I can certainly attest to the fact that the last ten years have not been optimal ones. The fund also has a relatively low expense ratio at .6%. Morningstar rates the fund at 3 stars. On the day of my purchase, the stock closed at $14.8, with the fund having then a net asset value per share of $17.45, creating a discount of -15.19 to NAV. Tri-Continental closed at $14.9 yesterday. 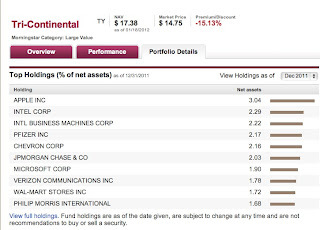 The net asset value per share as of 1/23/2012 was $17.53, creating a discount to net asset value at that time of -15%. The VIX has been in an Unstable Vix Pattern since the first Trigger Event in August 2007, as defined in my Vix Asset Allocation Model. VIX Chart from 2007: Alerts and Triggers Major Disruption of Cyclical Stable Bull VIX Pattern In Phase 1 of that Unstable Vix Pattern, the VIX will have a whipsaw movement mostly between 20 to 30, with spurts over 30 and below 20. Historically, the Stable Vix Pattern reveals itself by a continuous movement in the VIX below 20 for 3 months, allowing for some minor and temporary blips above 20 without restarting the count. The count now stands at two days. There are at least three reasons for selling this security. The first is psychological. The OG prefers to avoid messing up a winning streak on a security. JBI was one of the first trust certificates discussed in this blog, and it was then trading at around $17. TRUST CERTIFICATES JBI (October 2008 Post); SOLD 100 JBI AT PAR VALUE January 2009 All of my recent purchases have been made near par value including the shares sold last Tuesday in the ROTH IRA. Bought 100 of the TC JBI at $25.1 October 2009; Sold 100 JBI at 26.5 January 2011; Bought 50 of the TC JBI at 25.31 March 2010; Bought 50 JBI at 24.81-ROTH IRA MAY 2010 (shares sold at $26.47); Sold 50 of 100 JBI at $26.25. Normally I try to resist this emotional issue, which is sometimes successful, but there were some other reasons supporting this sale. The second reason involves concerns about interest rate risk associated with all long term bonds. One possible outcome of the extraordinary and unprecedented actions by the Federal Reserve is hyper inflation. Snapshots of TC trades can be found in the Trust Certificates: New Gateway Post. 2. Renasant (RNST)(own 150+ shares: REGIONAL BANK BASKET STRATEGY): Renasant reported net income for the 4th quarter of $5.79 million or $.23 per share, up from 19 cents in the 2010 4th quarter. SEC Filed Press Release This beat the consensus estimate by 2 cents. As of 12/31/2011, the net interest margin was 3.84%; the efficiency ratio was at 69.5%; the tangible capital ratio was 7.38%; the total risk based capital ratio was at 14.58%; the tangible book value per share was $11.8; NPLs to total loans not subject to loss share with the FDIC stood at 1.56%; and the allowance for loan losses to NPLs was 127%. 3. Sold 50 of PHO at $17.96 Last Wednesday (see Disclaimer): PHO is an ETF recently bought at $16.5. On the day of the earnings release, the common shares rose 65 cents to close at $14.29. SLM Corp Stock Price OSM matures in 2017 and ISM in 2018, so I am concerned primarily about being paid par value at maturity. I am not convinced that this rally has legs and is sustainable. I am not a net seller of stocks into this rally, but I am shifting the stock allocation into different sectors. The initial claims for unemployment fell to the lowest number since April 2008. ETA Press Release: Unemployment Insurance Weekly Claims Report For the week ending 1/14/2012, the seasonally adjusted initial claims for unemployment fell to 352,000, a 50,000 decrease from the prior week's adjusted number. 1. Sold 92+ MSFT at $28.47 Last Tuesday (see Disclaimer): After selling my highest cost shares a few days ago, I decided to unload the remainder of my position last Tuesday. Hopefully, I will receive an opportunity to buy back these shares sometime this year at less than $25. Microsoft reported its fiscal second quarter earnings after the close yesterday. SEC Filed Press Release Revenues increased 5% to $20.89 billion. E.P.S. was 78 cents up from 77 cents in the year ago quarter. The expectation was for 76 cents. 2. Sold 50 INZ at $20.74 Last Tuesday (see Disclaimer): I just bought those shares at $19 (December 2011). I sold them for the reasons explained yesterday. Item # 4 Sold IDG at $20.42 I am going to need more clarity about the European sovereign debt and banking problems before electing to hold European hybrid securities for more than a few days or weeks. ING Groep N.V. 7.20% Perpetual Deb rose 31 cents in trading yesterday to close at $21.07. 3. Bought 100 HUWHY at $17.84 Last Tuesday (see Disclaimer): Hutchison Whampoa is a conglomerate based in Hong Kong. The Chairman of Hutchison Whampoa is Li Ka-shing, one of the richest people in the world and a high school dropout. On 6/30/11, one Hong Kong dollar was worth about $.1285, which is very close to the current exchange rate. The HK dollar is pegged to the USD which takes away the currency risk as long as the peg remains relatively constant. (see discussion of peg at Businessweek) The approximate value of a HKD $10.86 E.P.S. is $1.4. USD. This is a link to the HK traded share price: 0013.HK: Summary for HUTCHISON At the time of my purchase the HK listed ordinary shares had closed at 69.7 HKDs or $8.98 U.S.Ds. Again, since 1 ADS is worth two ordinary shares, I need to multiply the USD value by 2 which produced a $17.96 value for HUWKY shares at the HK closing price for the ordinary shares. Since it takes two ordinary shares to equal 1 ADS, the analyst target price for the HUWHY ADS shares would be HKD 169.6 or $21.85 USDs. I thought that was a rationale 12 month upside target given the current low valuation of this stock and the dividend support to the share price. HUWHY closed at $18.66 yesterday. 4. Bought 50 NVTL at $2.98 as LT Last Tuesday (Lottery Ticket Basket Strategy)(see Disclaimer): Possibly many years ago, I may have bought and sold Novatel Wireless when the company was enjoying some success. After piling up several quarterly losses, the stock can be purchased under the Lottery Ticket strategy, which limits the amount of total exposure to $300 plus any realized gains and/or dividend distributions related to the security in question. NVTL has an ugly looking chart. I suspect that many investors have given up. The company was launched during the Nasdaq Crazy Period and hit $220 per share in early 2001. NVTL Interactive Chart The maximum period stock distorts the action for the past five years, so I will just focus on a five year chart. Chart In 2007, the stock rose quickly from around $11 per share to $27.75 by June 2007 and then a double top at $26.42 shortly thereafter. The Near Depression period was not kind to the stock, pretty much a waterfall type decline to a bottom just above $3 in March 2009. The stock then rallied to almost $13 by September 2009, whereupon it commenced another descent. This kind of price action, by itself, would tell me to be careful. The smashing of the stock price is practically a prerequisite for LT selections. The inconsistent and volatile movement presents enhanced risks and opportunities. I would emphasize the risk side of that equation more than the opportunity side. I did spend a few minutes at the Novatel Wireless website looking at their products. I also reviewed the Profile and Key Developments information available at Reuters. I checked the current E.P.S. forecast which was for a loss of 18 cents this year. That was not encouraging. Novatel Wireless closed at $2.99 in trading yesterday. 5. Intel (own): Intel reported adjusted earnings of 69 cents per share, up from 59 cents in the year ago quarter, on a 21% increase in revenue. The consensus estimate was for 61 cents. Emerging markets is a major source of growth, as more consumers in those markets can now afford to buy a computer. I quit reinvesting the dividend paid by Intel. 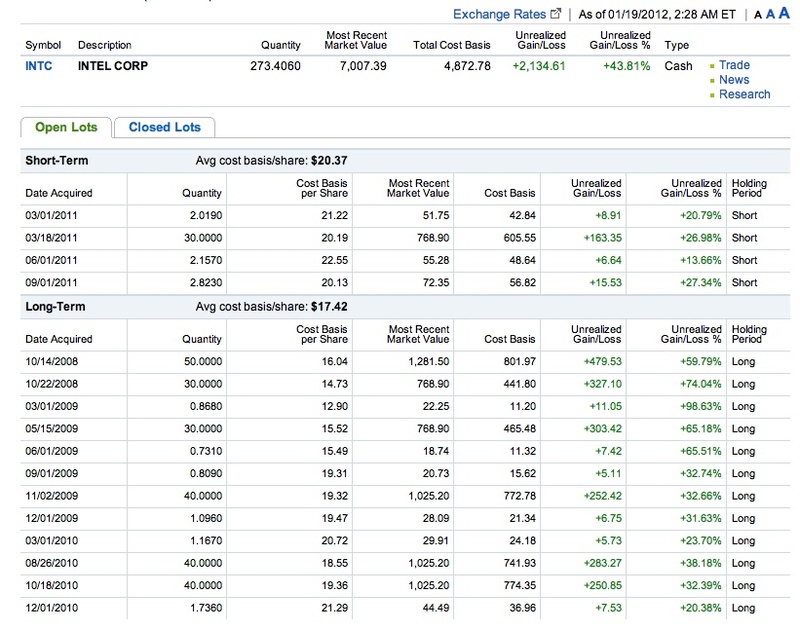 My unrealized profit, as of 1/19/2012, was $2,134.61 on 273+ shares. As expected, Eastman Kodak filed for bankruptcy protection today. Reuters I own two unsecured senior bonds maturing in 2013. Eastman Kodak (EK) Bonds-Own 2013 Senior Bond Eastman Kodak Bonds: Update on Third Quarter Earnings Report I would hope now that Antonio Perez, an abysmal failure as CEO, will be told to find other employment soon. Several of his money losing ventures need to be sold or shut down. My current guess is that the unsecured senior bonds, irrespective of maturity, will ultimately be worth 20 to 30 cents on the dollar, provided EK is successful in selling the 1,100 digital patents that it has been peddling for several months now (2B+), and soon stops the massive consumption of cash caused by its money losing operations. That estimate will change based on future events. Part of the recovery, if any, may come from stock that is issued to unsecured creditors when a company emerges from bankruptcy. I would not expect the existing common shareholders to recover anything. As noted in this article at Forbes, common stockholders are frequently wiped out in bankruptcy. Needless to say, I would not speculate on buying EK unsecured bonds now. RB bought the bonds. Information about EK bonds can be found at FINRA. The FINRA site will have trading information on these bonds. The prices for large trades will reflect the estimates made by institutional investors on the potential recovery. I will occasionally monitor the prices of those bonds just to see how institutional investors are valuing them. Added 7/20/12: The ITC ruled last Friday that a key EK patent was invalid and affirmed the dismissal of EK's important patent claims against Apple and RIMM. Wsj.com A lot will now hinge on the impact of this decision on the upcoming patent sale. This development would cause me to at least posit a zero recovery for EK's unsecured bond owners as a possibility. I may sell one of the two 2013 bonds within the next month just to establish a tax loss.